Are you considering a tent for your outdoor event? Are you wondering if you actually need a tent? Are you struggling to decide between selecting a venue for your wedding day or hosting your affair in your backyard? We spoke with David Tannenbaum of NY Tent to help us better understand why we should consider a tent for our outdoor events. 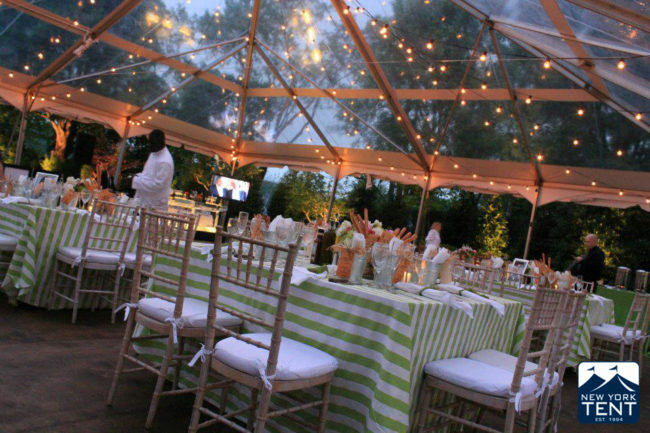 The first thought associated with tented events revolves around weather protection. 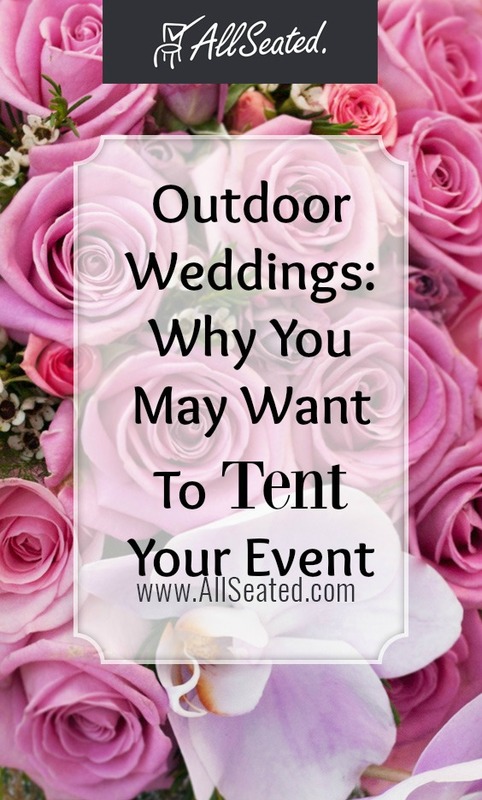 While yes, tents provide protection from the rain, snow, wind and even the sun, there is so much more involved as to why people choose a tent for outdoor events! Tents are focal points. 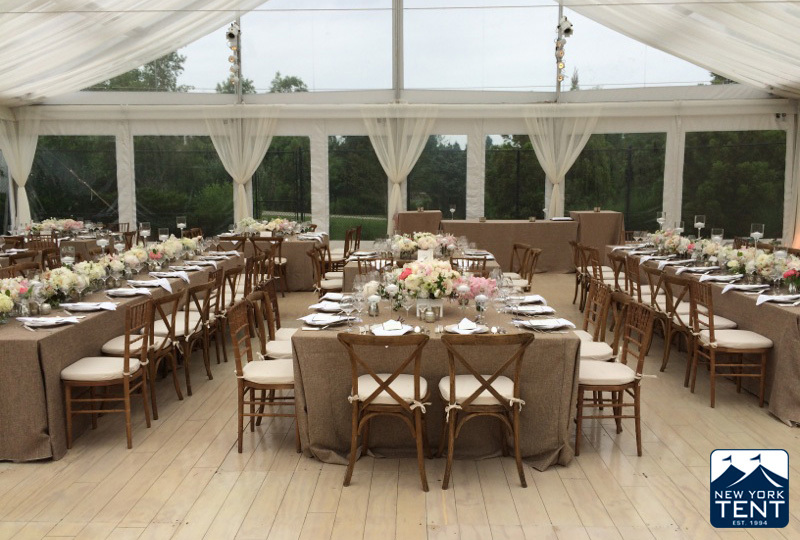 They are your blank slate for decorating and creating the most spectacular event that just so happens to also be held outdoors. You can transform your tented space into anything you desire, giving you even more flexibility than you would have inside an event space at a venue. Tents can be assembled on any-sized property. Sometimes people think that their grounds aren’t suitable for tented affairs but that is probably not the case! 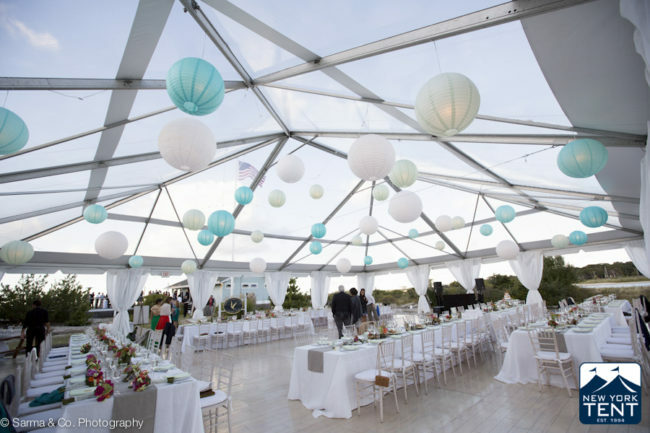 Tents are not only for flat land; they can be set up on hilled properties as they can build level ground underneath creating usable land and an event space for your affair. Your options with tents are endless! There are many types of tents as they come in various sizes, shapes and styles. 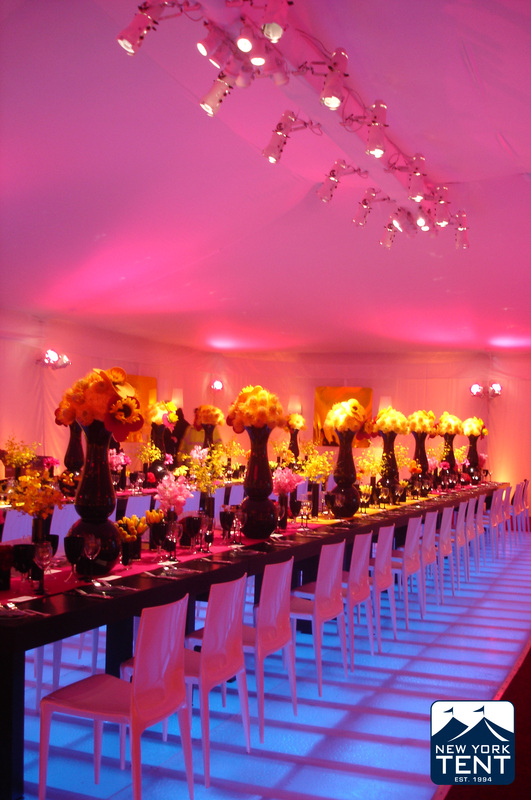 The interiors of your tent for your affair can be designed according to taste and budget. Floors can be added along with heating and air conditioning, flooring, décor, glass walls and doors, bathrooms and much more. Unlike the structured date and time required by having your event at a venue, hosting a tenting event gives you much more flexibility. You can create your own hours and won’t be held to a tight clock so often seen when having your event at a venue, allowing your guests to really hang out and enjoy. Tents can be set up on the outdoor property of venues. If you like the outdoor landscape of a venue and they allow for outdoor affairs, tents can be brought in, set up and used to host your party. 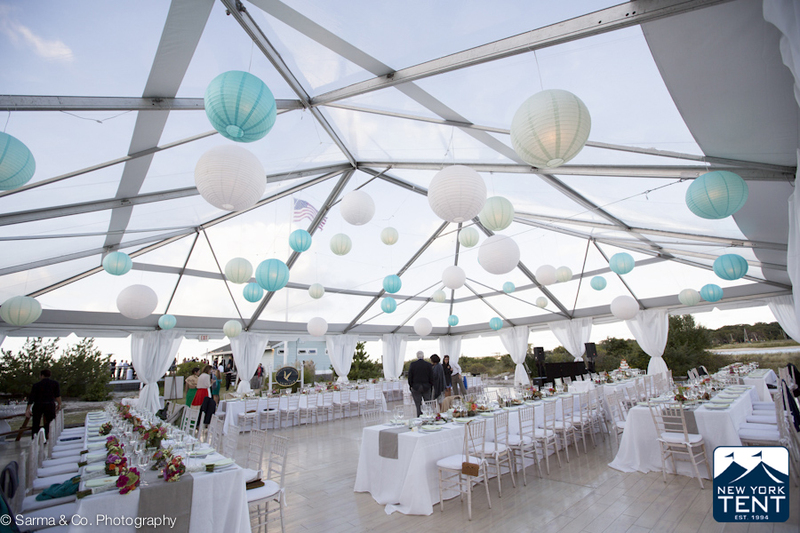 Tented events offer endless options and a unique experience while yes, protecting your guests and your affair from the weather conditions that may affect your outdoor event. For more information on NY Tent, check out their website! All photos are used with permission and property of NY Tent.